I’ve been using MuseScore since I was thirteen, when MuseScore was at version 1.1. I wanted to write music on a computer, and spending money was not an option. I used a different free program called Finale Notepad at first, but it was insanely limited (deliberately: the makers wanted users to become frustrated so they would buy other versions of Finale). MuseScore, by comparison, seemed to have no limits at all—at least, it completely satisfied my needs at the time. And Katie Wardrobe’s video series, still a model for software tutorials, made everything easy. I discovered the forums early on, and learned that MuseScore was soon going to get even better—while in MuseScore 1.1 I could write a score for multiple instruments and extract each part as a separate file, with MuseScore 2.0 I was going to be able to keep those parts linked to the score, so any change in the score would be automatically updated in the part, and vice versa. All sorts of other things were going to be added and improved, too, but that’s the one that made an impression on me. Every year or so after that, I would suddenly remember about 2.0 and rush to check if it had been released. In 2011, 2.0 was coming soon. In 2012, the plan was to release it by the end of the year. In 2013, the plan was to release it by the end of 2014. Along the way, I updated to MuseScore 1.3. So now I had 1.3 when it was supposed to be 2.0? I was ready. I was working on bigger music projects, and inevitably I would extract the parts when I was “done”—and then go back and change things, and then have to open each of a dozen part files one by one to make the changes there. Alternatively, if the changes to the music were more significant, I could delete the part files and generate them again from the updated score—but then I would have to go through them again one by one to re-add staff spacers and line breaks, drag things around to avoid printing dynamics covering up notes, and whatever else was necessary to get readable sheet music. As my composition skills grew, so did my notation requirements. I was growing up, and I wanted MuseScore to grow as well. In August 2014, MuseScore 2.0 Beta 1 came out. Joy! Linked parts! Extra joy—playback improvements! Shock that it didn’t look right—MuseScore 1 played the chameleon to match the native style of the system it was installed on, but MuseScore 2 had developed its own style that it would keep to, and the style wasn’t all that nice-looking. What with the weird purple color of highlighted toolbar icons, the bulbous orange tooltips, and the pinkish-red circle on gray background surrounding the X on each tab, I still feel justified in calling it ugly. Also, there were bugs. At that point, to protest one of them, I joined the MuseScore forums for the first time. Later, I raised the issue of one of the interface changes I didn’t like, and watched in awe as a week later the issue was marked as fixed. The name “lasconic” didn’t mean anything to me at the time. Just before the end of 2014, MuseScore 2.0 Beta 2 was released. The visual style was still foreign, but enormously less ugly. I still wanted the native style, though, and made my opinion known. That was the first time I engaged directly with the developers, and it turned out to be a pivotal moment for me—I fully came to the realization that MuseScore was a project, not just a soulless application, and the seeds were planted for me to help out. As time went on and I kept up-to-date with the nightly builds, I began contributing bug reports, working on documentation in the Handbook, answering people’s questions on the support forums—and cleaning up/rewriting the press release announcing that (finally!) MuseScore 2.0 was released. 2.0 arrived shortly before my eighteenth birthday, and just in time for me and a collaborator to finish writing a wonderful march with it. In the past year I’ve steadily stepped up my involvement. Apparently my Handbook and press release edits made an impression, because last year I was invited to help proofread Marc Sabatella’s professional guidebook, Mastering MuseScore (and given a few free copies in return). Probably my biggest contribution is the Getting Started interactive tutorial score that appears in the Start Center, which has received some very nice comments (you can learn about its history from the links in the first reply). I also contributed a few templates for MuseScore 2.0.2 (and another one just recently for a future version of MuseScore). Relatively recently, I finally joined the other MuseScore community and started sharing sheet music on the other MuseScore website. I love MuseScore, and I doubt I’ll ever leave it. But as much as I do love MuseScore, I have to say, there are things that could be better. Once, Finale Notepad was too limited for me, and MuseScore 1 was there for me. 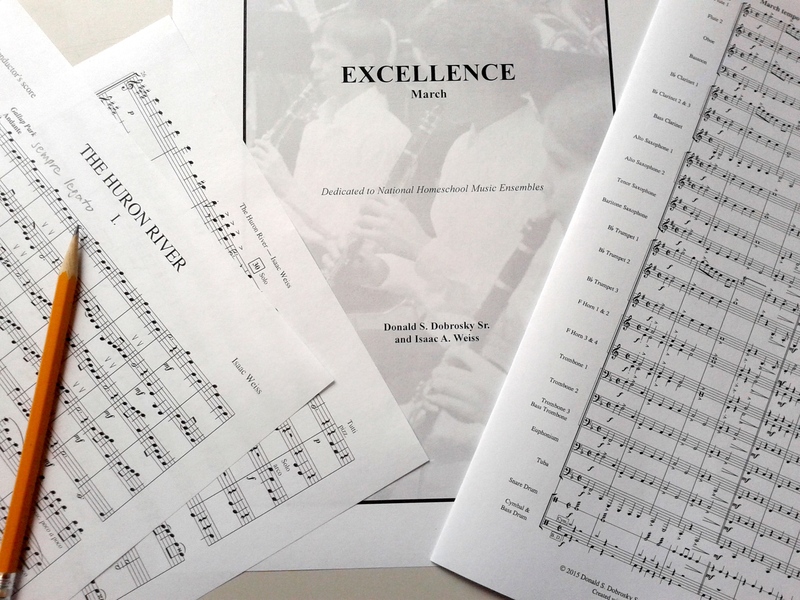 Once, MuseScore 1 became too limited for me, but MuseScore 2 finally arrived—and I was satisfied for a time. And now, MuseScore 2 is starting to become too limited for me, and I have a high expectation for MuseScore to evolve again. Hi Isaac, thanks a lot for sharing your journey with MuseScore! What stuck with me was this line: "That was the first time I engaged directly with the developers, and it turned out to be pivotal moment for me—I fully came to the realization that MuseScore was a project, not just a soulless application, and the seeds were planted for me to help out." Often I claim to outsiders that people come for the software and stay for the community. Now I have one extra testimonial to back this up :) Glad having you with us! "Come for the software, stay for the community" is an excellent way to put it. I'm sure I'm not the only one—probably the same is true for most of the active users of this forum. But you can certainly cite me as as an example. Can't wait for part 2! Great article! Brings back memories for me, as my story has a lot of similarities (differences too of course). I’m sure many young and old MuseScore users will find some points of recognition. And they may comment on how they got into MuseScore and how they want it to see it evolve. So, Marc, how did you get into MuseScore, and how do you want to see it evolve? Part 2, "What's wrong with MuseScore," is now up at https://musescore.org/en/user/101731/blog/2016/04/24/growing-musescore-…. Thanks for sharing your journey. I started using MuseScore for the same reason as you. The first version I got was 1.3. I like it, but now that I have 2.3, I love it even more. I guessed a lot of people shared my experience. Thanks, Dom! oh yes. Sorry! My mistake. How do you make blog posts like this? I'd like to try it one day! https://musescore.org/en/node/add/blog What are you thinking of blogging about? Isaac, it's "Access denied". I was mainly thinking about blogging experience with musescore and how much it saves money. I can definitely see in the future "Operation, pass Finale and Sibelius". I would definitely join that. Ah, I guess you have to clear it with Thomas first. Basically, send him a PM right? No need to send a pm anymore. Try the link again. I made my first entry. Do I have to keep clicking the "Add Blog link" if I want to make more posts? Also, how can I view other blogs as well. Is there a link to that? You can find all English blog entries via https://musescore.org/en/blog , and yes, just use the same link to post new blog entries. Looking forward to read your blog posts! I heartily agree -join for the software ;stay for the community .That should be a founding principle of all businesses. Many have invested in this philosophy and they end up lasting even with advantageous competition . I've turned on a few friends from fb who were using Finale or sibelius or even inexpensive daws . I love the control I have over my ideas and the printed look . As I have said many times here - this application saved my life way back in 2010 when I first started posting infantile compositions on musescore.org and received helpful commentary .I can't even imagine what else muse has in store for all of us.Everyday brings new discoveries.I'm months behind with the Inspector - but that's part of the fun here too !